AS5710-54X has 48-Port 10G SFP+ with 6x40G QSFP+ uplinks with ONIE software installer. AS5710-54X embedded Broadcom Trident II 720Gbps and Freescale P2041 CPU as well as PHY-Less/Re-timer-Less, dual 110-230VAC 400W PSUs included and power-to-port airflow. AS5710-54X is 3-year Hardware Warranty. The Edgecore AS5710-54X/AS5712-54X switch meets the high-performance, availability, and network-scaling requirements of enterprise and cloud data centers. The AS5710-54X/AS5712-54X provides full line-rate switching at Layer 2 or Layer 3 across 48 x 10GbE ports and 6 x 40GbE uplinks. The switch can be deployed either as a Top-of-Rack switch, or as part of a 10GbE or 40GbE distributed spine, forming a non-blocking folded CLOS data center fabric. The switch is rack mountable in either a standard 19 inch rack, or with the Open Rack Switch Adapter in the 21 inch Open Rack. The AS5710-54X/AS5712-54X hardware provides the high availability features required for data center operation, including; redundant, hot-swappable AC or -48 VDC PSUs or 12 VDC power input; fan with 4+1 redundant fan modules; and port-to-power or power-to-port airflow options. The AS5710-54X/AS5712-54X is an ideal Top-of-Rack switch for virtualized data centers, with its support of VXLAN and NVGRE tunneling functions in hardware. Port Grouping to group 4 x 10G ports into one 40G port at the physical layer for maximum bandwidth utilization, and for 300m optical reach over MMF (Subject to NOS options). VXLAN and NVGRE tunneling support in hardware for network virtualization. All ports on front; PSUs, fan modules on rear. Hot swappable 4+1 redundant fan modules. Hardware switch pre-loaded with Open Network Install Environment (ONIE) for automated loading of compatible open source and commerical NOS offerings. 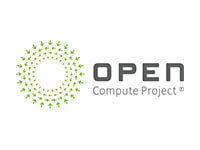 AS5710 SKU and AS5712 SKU compatible with Open Network Linux (ONL), the open-source, OCP reference NOS. 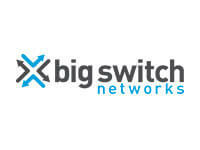 AS5710 SKU and AS5712 SKU compatible with Big Monitoring Fabric™ and Big Cloud Fabric™ SDN applications from Big Switch. AS5712 SKU compatible with Cumulus® Linux® r2.5.1 and later version from Cumulus Networks®. AS5712 SKU compatible with OpenSwitch the open-source NOS.